I am a full-grown adult. I have health insurance and a 401K. I drink bourbon and listen to NPR. I’m wearing a button up shirt right now. I own many fine sweaters. I do not presently have children. If you send me a smart rubber ducky, I’m probably going to play around with it. I’m not made of stone. This is Edwin the Duck. He’s been through a lot. In 2014, his creators at PI Labs attempted to bring him to life courtesy of Kickstarter, eventually cancelling the bid when he fell short of his $85k goal. But he persevered. Edwin, you see, is a plucky sort of duck. He even joined us on stage at CES back in January. He just happened to be in town. Huge Celine Dion fan. Back during that interview, we understandably raised the question of why, precisely, the world needs a smart rubber duck. And I’m still not entirely sure it does. 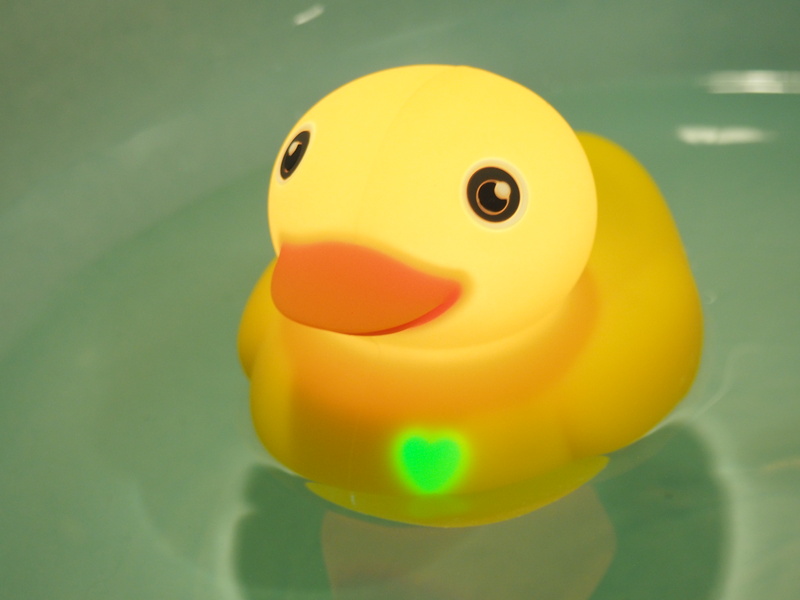 There are, however, some places in which connected functionality kind of makes sense for a rubber duck. 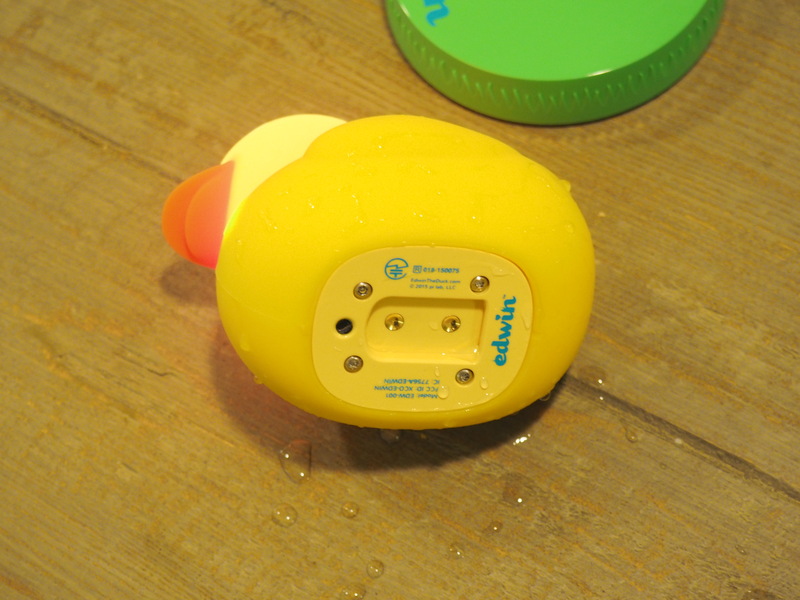 For one thing, there’s the built-in thermometer, which allows Edwin to monitor bath temperature. Here’s the rub, though – while that’s almost certainly destined to be one of the duck’s top selling points, it’s still relegated to the product roadmap. It speaks to one of the issues of being an early adopter for hardware startups. Features are often still a ways down the road at launch. And that can be an issue when its functionality is as central as is the case here. But while he’s still lacking in certain respects, Edwin does have some interesting functionality at present. 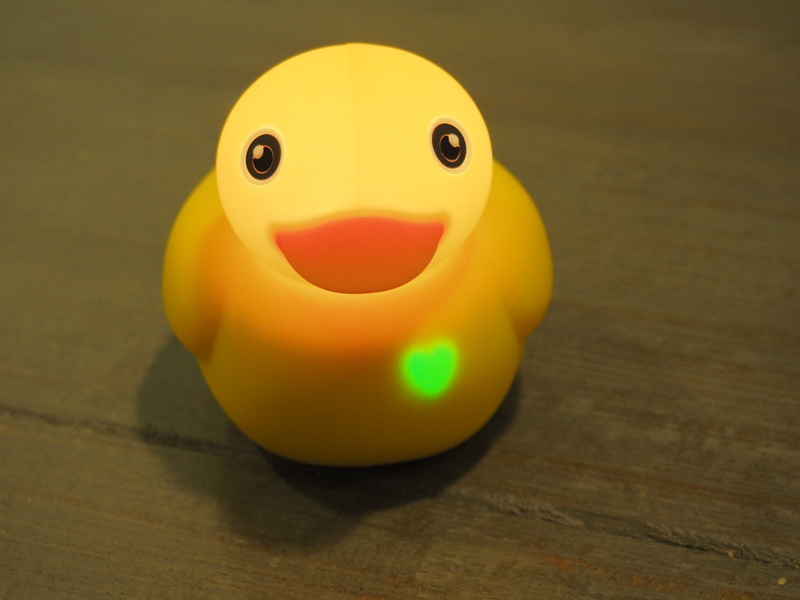 The rubber ducky’s current best feature is the fact that it doubles as a completely waterproof Bluetooth speaker. I can’t really say why, but even as a grownup, there’s something appealing about the idea of a floating, ducky-shaped speaker in a bathtub or pool. It’s science, probably. Of course, there’s a caveat here – namely the fact that sound needs to project through a rubbery membrane. So, you know, not really for the audiophiles out there. And you’ll probably want to avoid anything that requires making out human speech. So, no podcasts in the tub, kids. The thermometer function is built into the hardware already, which means you can get some use out of it. Among the three apps currently available (two of which are still iOS only) is Temp Time, which turns Edwin into a big, squishy health thermometer when you rest him against a forehead. I tried own head, but had a tricky time getting a good reading – or else I’m a constant 92 degrees and should probably see a doctor. Jury’s still out. One of Edwin’s more engaging features is designed for outside the tub (assuming that you’re not looking for your kid to dunk your iPad), using the little duck to animate an on-screen version courtesy of the default Edwin app. Using different gestures, the duck will help read stories, play, games and sing songs. There’s also a separate Sleepy Time app, wherein Edwin sings lullabies and doubles as a nightlight. It’s easy to see where the product is going, as the company continues to add features piece by piece. But at the moment, Edwin feels a little less than the sum of his parts, likely unsurprising for anyone who’s ever jumped on board a hardware startup early on, but with the addition of a few missing pieces, the little duckling just might transform into a rubbery swan. Update: Edwin reached out to let us know that the Bath Time app went live a day after this writeup posted.